MBNA Canada has yet to comment on a timeline for its Apple Pay launch, other than to say they’re “working hard” to enable support for the mobile wallet, with no ETA to announce. 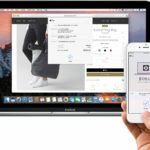 According to sources familiar with the matter, MBNA Canada is finally set to reveal an ETA for Apple Pay, with internal documents shared to employees earlier this month noting “mid-2017” as the projected timeline. MBNA Canada’s social media teams are set to announce the mid-2017 date soon, so keep an eye out on their Twitter feed. The credit card portfolio of MBNA Canada was acquired by TD Canada back in the fall of 2011. Many have suspected Apple Pay support would eventually follow suit for MBNA Canada, after TD Canada launched support earlier this summer. Currently, MBNA’s online credit card offerings total 64 various MasterCards, ranging from various themed reward, sports, college and university, financial institution, charity, personal interest and professional cards.